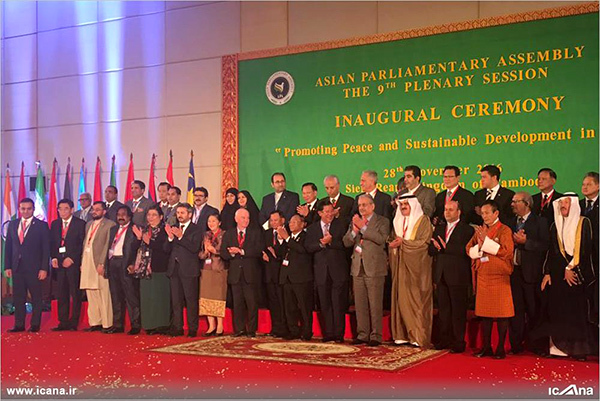 An Iranian parliamentary delegation is attending the 9th Plenary Session of Asian Parliamentary Assembly (APA) which is underway in Cambodia. 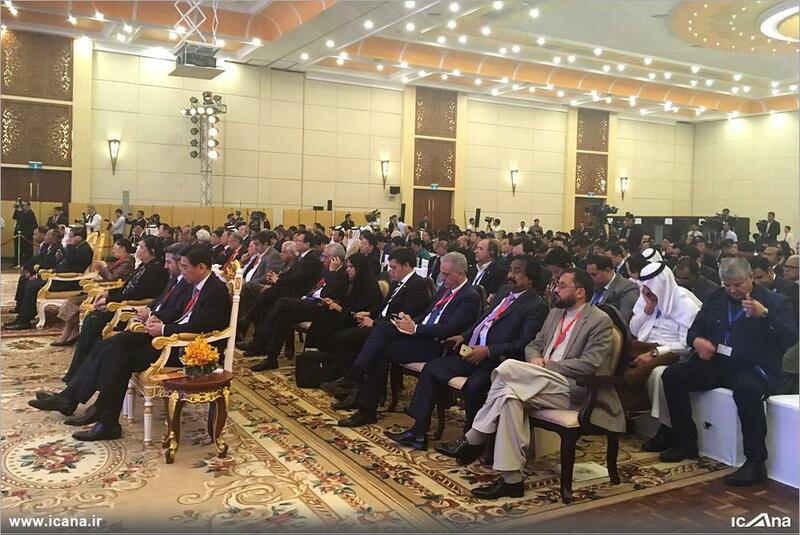 The APA Plenary Session was inaugurated on November 27 and will go on until December 2 in Sokha Siem Reap Resort & Convention Centre in Siem Reap, Kingdom of Cambodia. Thxe Iranian delegation participating in the 9th Plenary session is comprised of MPs Ali Kazemi, Jalil Rahimi Jahan Abadi, Fatemeh Zolqadr, and Hajar Chenarani. Zolqadr told ICANA that she read aloud the message of Iran’s Parliament Speaker Ali Larijani to the APA summit in English, and told the audiences that Larijani failed to attend the summit because of recent tragic incidents in Iran. At the end of her speech, Zolqadr added, the audiences observed a one-minute silence to commemorate the victims of an ISIS terrorist attack on pilgrims in the Iraqi city of Hilla and the Iranian passengers killed in a train crash in Iran’s Semnan Province. AAPP was established in 1999, and transformed into the APA, which currently consists of 42 Member Parliaments, 16 observers and 10 partner organizations.